I will let the next three pictures entice you to click the read more button, lol. I really wanted Yoo Hee Yeol to use one of his priority cards for a trainee. And then get the trainee. Sorry, guys. I skipped episodes 7-8 for a few reasons. I was procrastinating on the episodes. When I finally watched the episodes, the group rounds seemed a little dull to me. Because of that, I didn’t have the motivation to finish writing the post. I’m really sorry for my laziness (it’s one of the things I wriggled into my New Years resolutions). This year, the younger contestants are giving the older contestants a run for their money. Literally. JYP wondered how much value was on the stage when all the younger contestants were on there together. 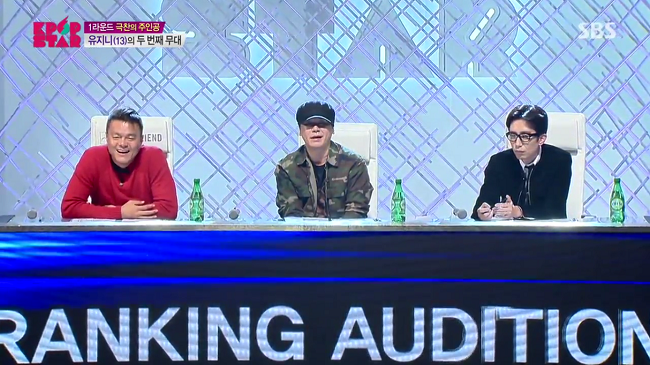 I think one of my favorite things ever about K-Pop Star is when the judges try to appeal to a contestant and then they end up bickering with each other. Its usually JYP and YG at first, but then Yoo Hee Yeol makes a witty attempt to try and recruit a person as well. Its hilarious. I feel like JYP’s favorite piece of advice is to tell people to relax your shoulders. Random. Sorry. Anyways, K-Pop Star 6 must really want to produce a group similar to i.o.i because this episode was very girl group heavy. It’s the ranking round. If you’re not familiar, the ranking round groups contestants by style or age and the judges rank them. Everybody can make it through or just one person can make it through. I’ve been recapping K-Pop Star since season 3 and I’ve been a fan since season 1. When I pick my standouts, I pick people who I’m curious about and wonder how far they’ll make it in the season. It’s a bittersweet time for us K-Pop Star fans. 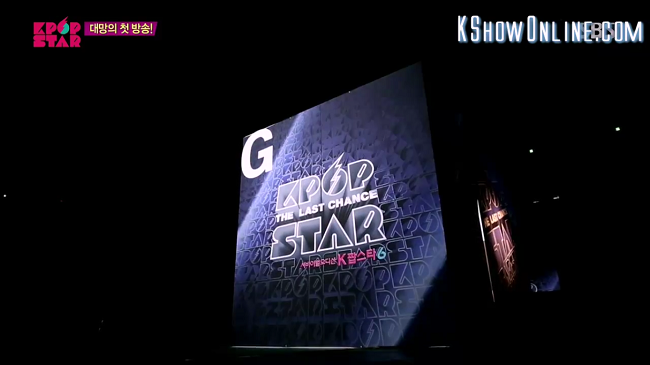 While we’re excited a new season is upon us, it is unfortunately the last season of K-Pop Star forever. The producers have gone with the theme The Last Chance. A new rule that they’ve implemented this year is that singers who have already debuted or are signed with an agency are allowed to audition. Many are probably thinking that it’s not fair, but in my opinion it’ll be a lot harder for them. K-Pop Star is all about taking a singer and teaching them, but if they’ve already been taught a certain way for many years it becomes a hard thing to break and re-mold.